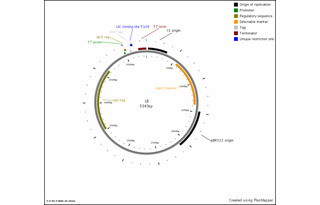 This plasmid is an empty vector to be used with a LIC cloning protocol. It has a TEV-cleavable His6 fusion tag on its N-terminus. 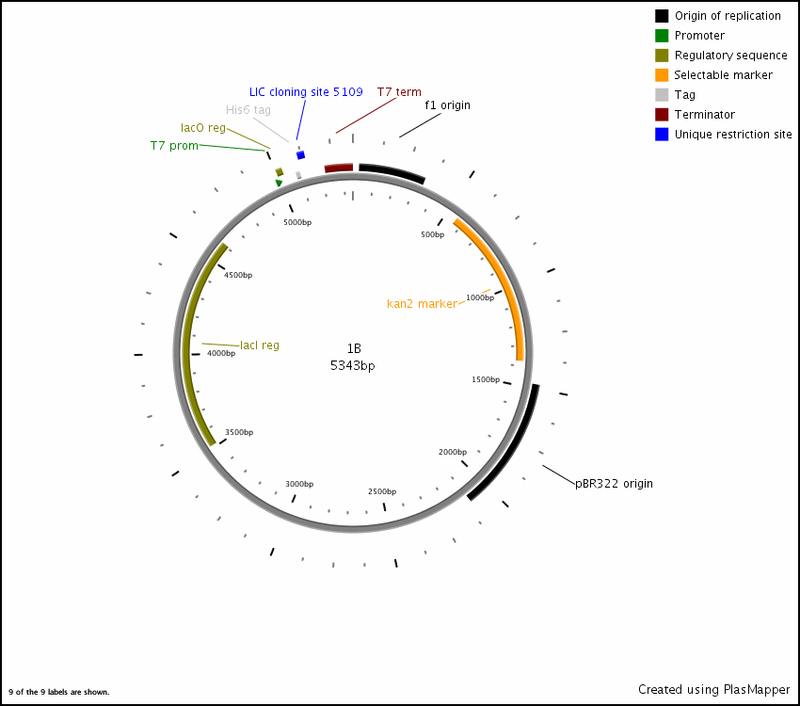 To clone into this vector, add LIC fusion tags to the 5' end of your PCR primers. Linearize the plasmid with SspI and gel purify. When digesting the DNA with T4 polymerase, use dCTP for insert and dGTP for vector.